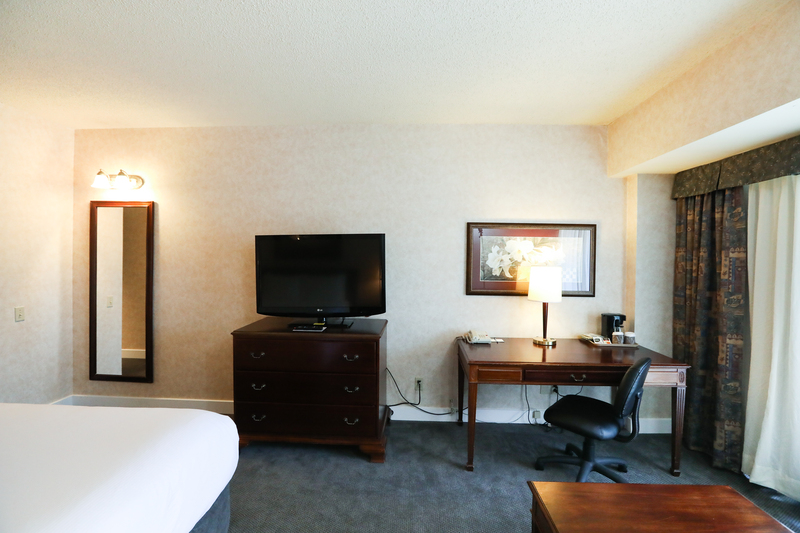 When you are in Vancouver, stay in one of the Atrium Inn’s spacious and comfortable rooms. Our 100 room property offers many amenities. 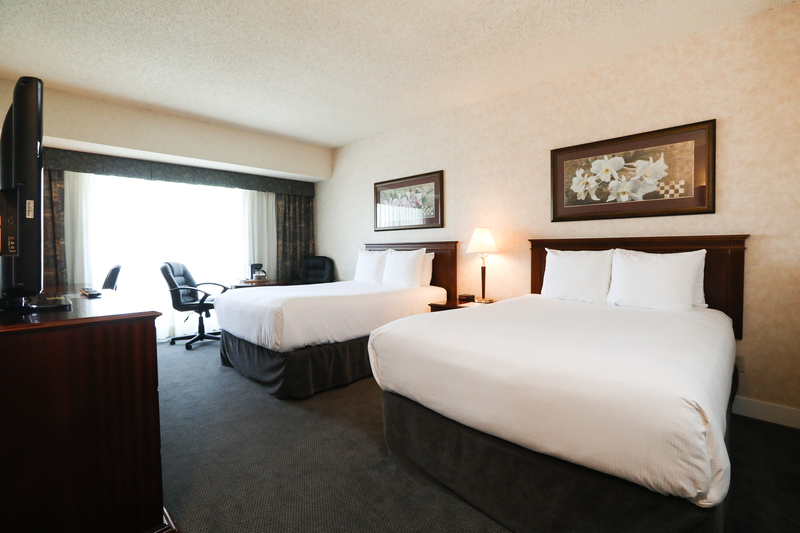 Located just meters away from the PNE and Playland, you can bring the entire family along to stay with us. Start your morning right with our complimentary buffet breakfast, and come home after a busy day exploring the city for drinks and food at the PressBox Pub! Book your stay in our Vancouver accommodations today to enjoy a restful sleep close to all the best attractions Vancouver has to offer. Our tastefully designed rooms and suites provide guests with the utmost comfort during their stay in Vancouver, and our charming in-room amenities allow each guest to feel at home. 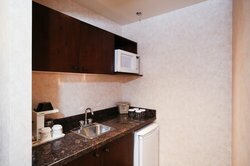 At the Atrium Inn, we offer a range of accommodations in Vancouver to fit each of our guests’ needs. 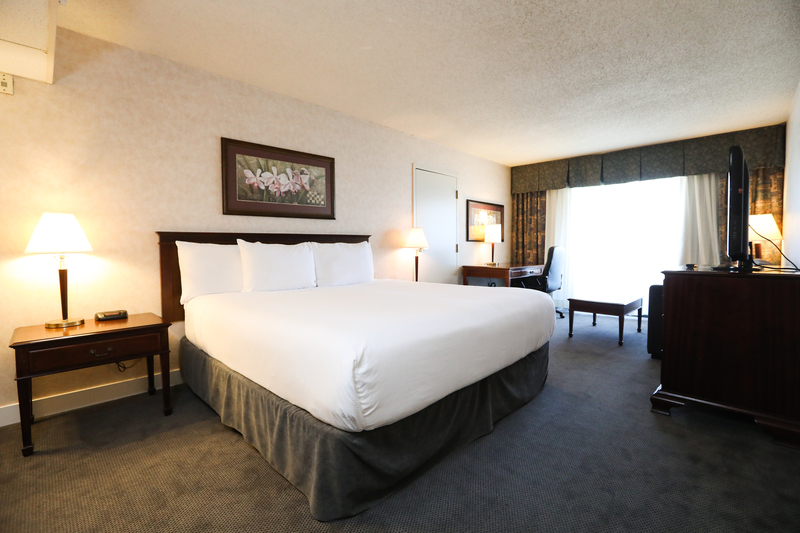 Guests traveling to the area for work or to explore the city will enjoy our Traditional King and Queen Rooms, while guests visiting with a group of friends or family can enjoy one of our Traditional Two Queen or Traditional Two Double Rooms! Planning a romantic weekend away? Our King Suite is the perfect sport for a couple’s getaway. Guests planning a long-term stay can enjoy our spacious Corner King Room with Fridge & Microwave! 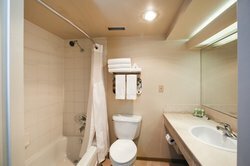 Each room comes equipped with seating areas, complimentary Wi-Fi, adjustable steam shower heads, and more! 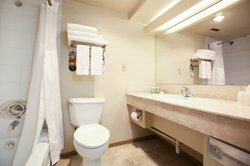 Our Accessible Two Double Room comes equipped with ADA-Compliant amenities to ensure everyone can enjoy their stay at the Atrium Inn Vancouver. At the Atrium Inn, we understand that your pet is a part of the family. This vacation, be sure to bring them along when you stay with us! 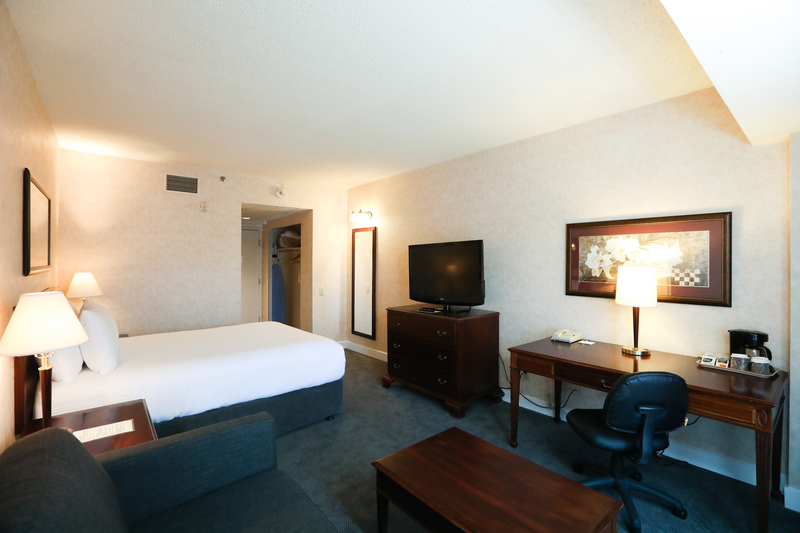 We offer a number of pet-friendly rooms so no one gets left behind. Check out our policies page for more information. We have specific pet-friendly rooms available for guests bringing their furry friends along, so please make sure to call the hotel in advance to reserve your pet-friendly room with us at the Atrium Inn! An additional $25 plus tax per night will be applied to your reservation. 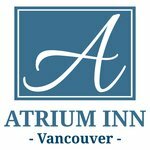 Book your Vancouver accommodations at the Atrium Inn today! 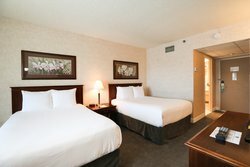 Perfect for couples taking a trip to Vancouver or beyond, our spacious Traditional King Rooms are equipped with everything you need for short or longer stays. Let us know if you are heading out to Canada Place to embark on a cruise and you can take advantage of our special parking rates to leave your vehicle with us! Book today and give yourself the vacation you need. 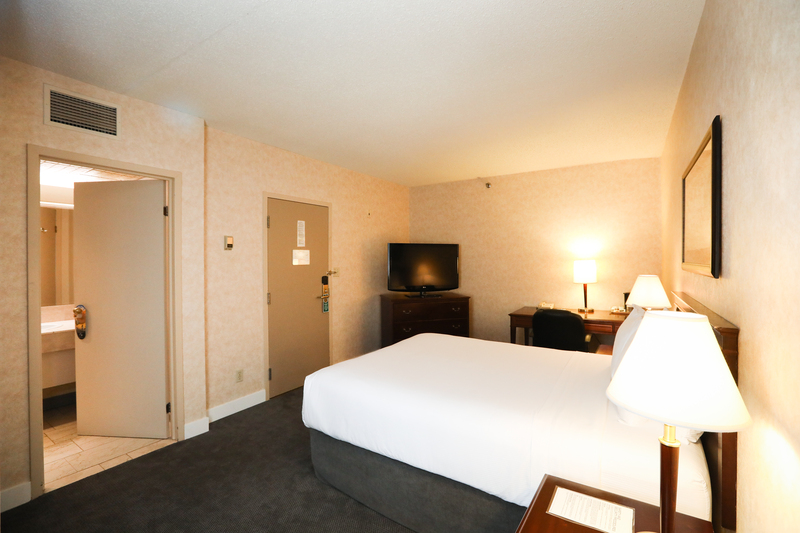 When you are in Vancouver, stay in one of the Atrium Inn’s spacious and comfortable rooms. 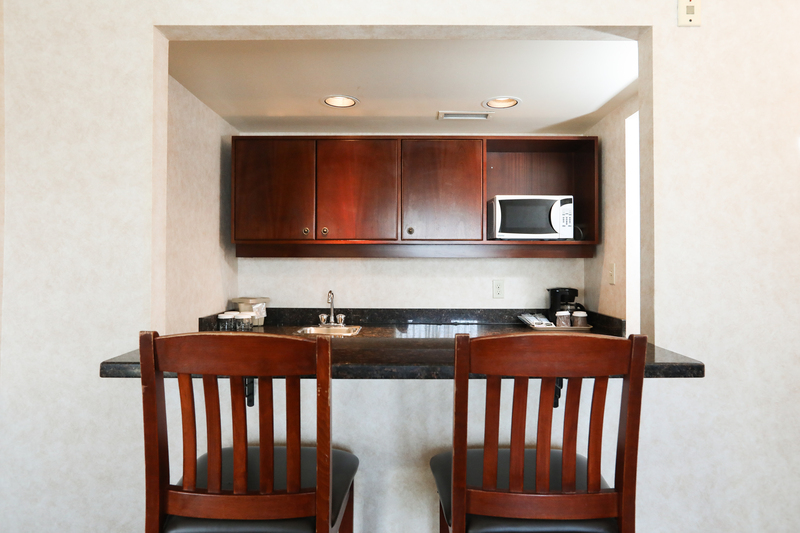 Our 100 room property offers many amenities. 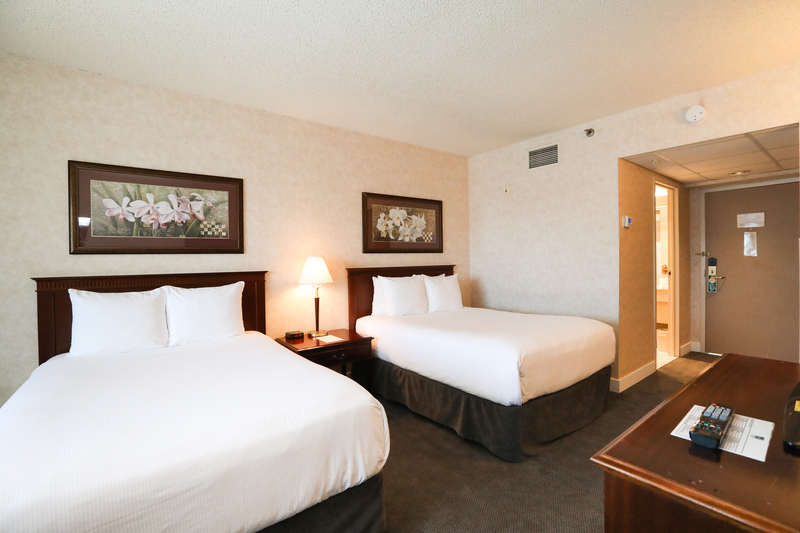 Located just meters away from the PNE and Playland, you can bring the entire family along to stay with us. Our clean bathrooms and luxurious showers are the perfect complement to your stay at the Atrium Inn Vancouver. All our rooms include ‘Nourish’ bathroom amenities. 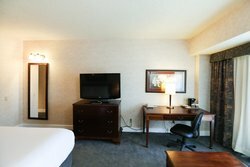 Our Traditional Queen Rooms feature beautiful private balconies and a comfortable seating area for you to enjoy when you stay with us at the Atrium Inn in Vancouver. While you stay, take the opportunity to see all that Vancouver has to offer. Head downtown or visit the PNE, great for people of all ages! 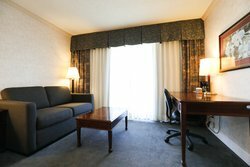 Go on a trip with your friends or family and book one of Atrium Inn’s Traditional Two Queen Rooms. 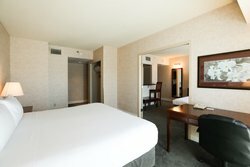 These rooms have space for everyone with two queen-sized beds, private balconies, and 42” flat screen TVs! Book today and treat yourself and your loved ones to a fun-filled vacation. 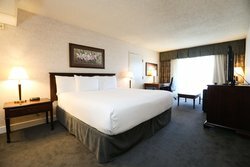 Traditional Two Double Rooms at the Atrium Inn are perfect for those guests traveling in small groups. Look out at Vancouver from your private balcony and enjoy your stay! 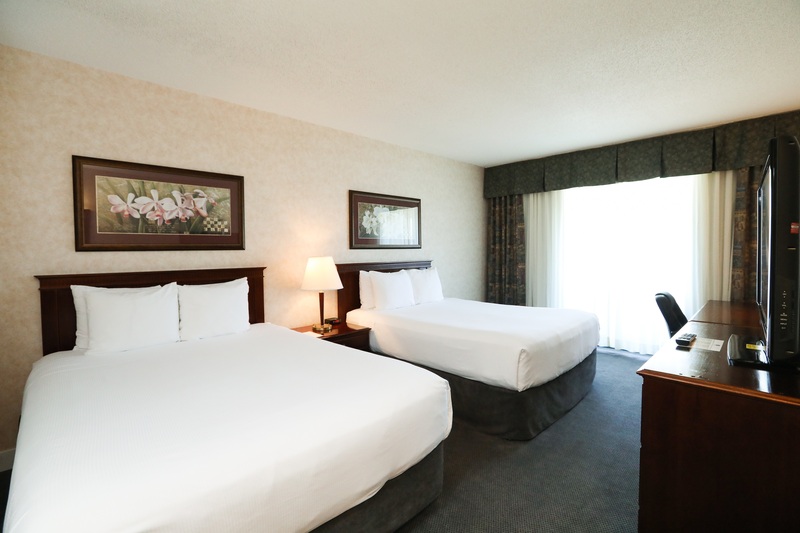 Go on a trip with your friends or family and book one of Atrium Inn’s Traditional Two Queen Rooms. These rooms have space for everyone with two queen-sized beds and a 42” flat screen TV! Please note that due to new construction next door these rooms are considered not to have a view as the rooms face the building. 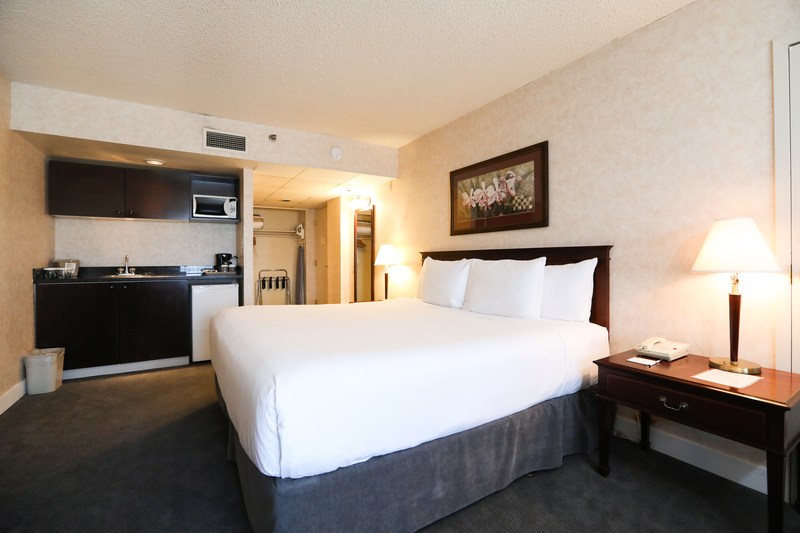 For a restful nights sleep, book one of our Interior Queen Rooms which feature a queen-sized bed and are located away from exterior walls and the busyness of the city. 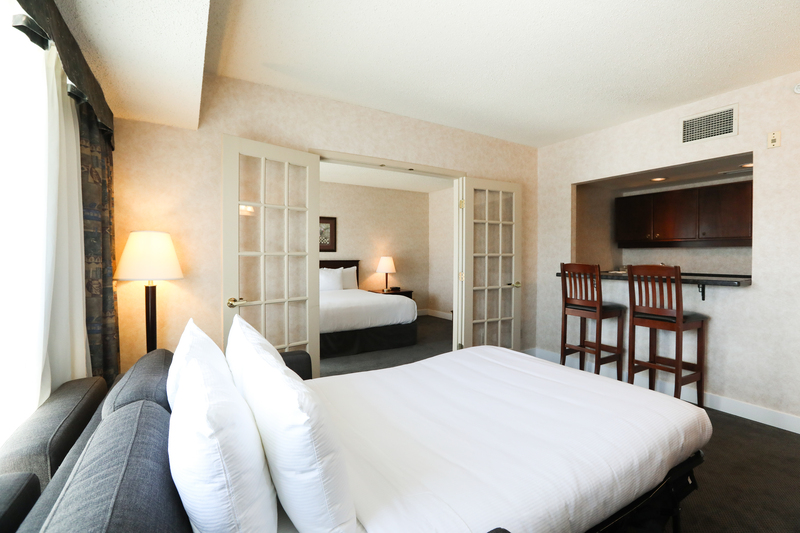 These quiet rooms are perfect for a peaceful stay with us in East Vancouver. 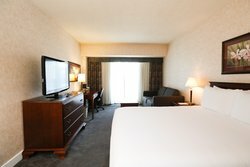 Book today and enjoy your time with us! Book your stay in our Interior Queen Room! 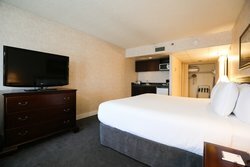 If you are looking for a little extra room, book one of our Interior Queen Rooms which feature a queen-sized bed and are located away from exterior walls and the busyness of the city. 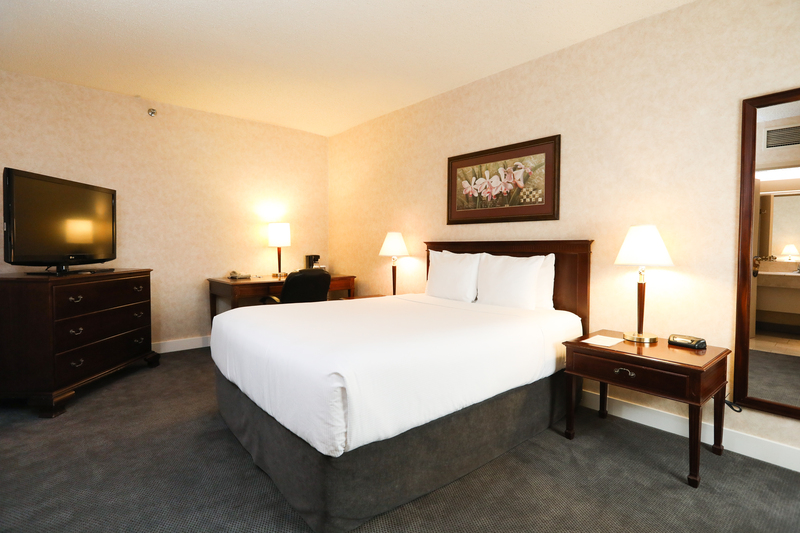 These quiet rooms are perfect for a peaceful stay with us in East Vancouver. Book today and enjoy your time with us! 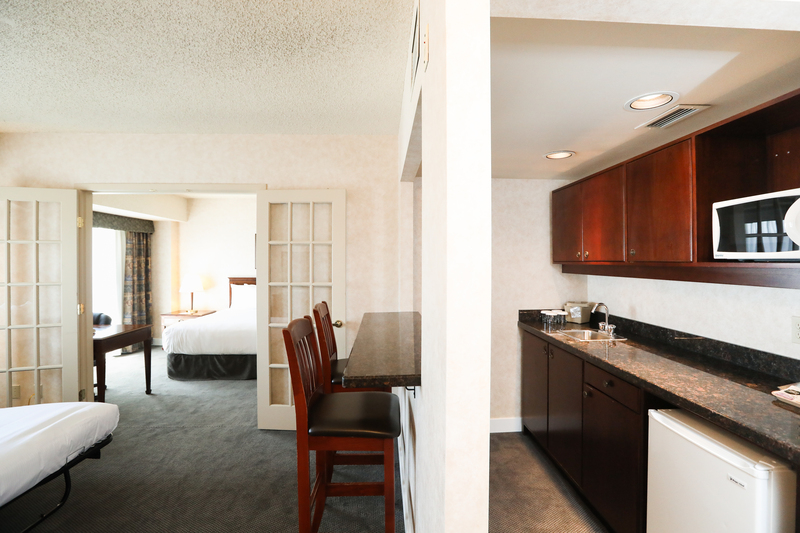 Relax in luxury in one of our two room King Suites, complete with a kitchenette. 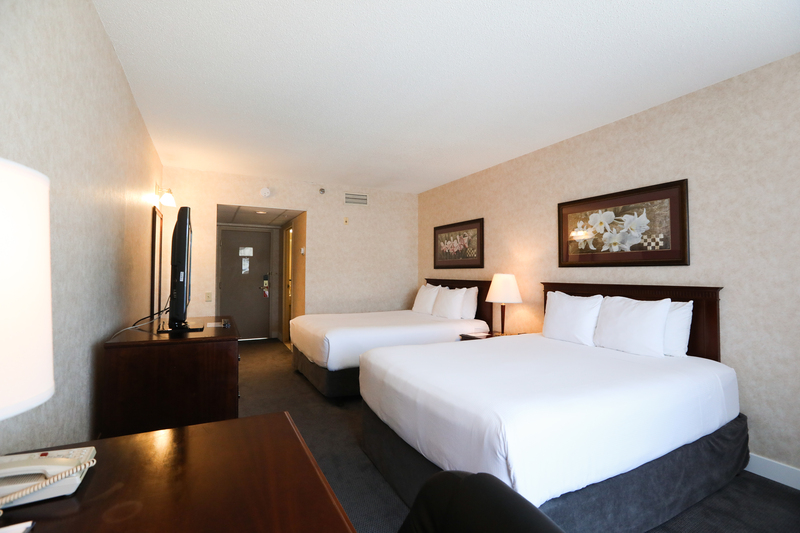 Whether you are here to visit the PNE or you are heading into the downtown core for business, our King Suites have everything you need to rest up and enjoy your stay in Vancouver. Book today for a fantastic vacation at the Atrium Inn! Enjoy a restful night's sleep in our soft and comfortable king suite! Perfect for the business traveler who would like to take advantage of an in-room kitchenette, our Corner King Rooms are designed to meet all of your business needs. These rooms feature large work desks and ergonomic chairs so that you can work right from your hotel room. 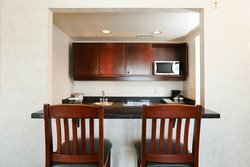 If you are planning a longer stay, book one of our Executive King Rooms which features a kitchenette with a microwave and refrigerator so you can prepare simple meals from the comfort of your room. 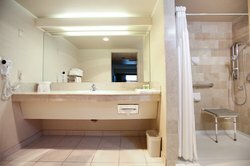 At the Atrium Inn, we want to accommodate you, no matter your accessibility needs. 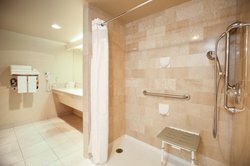 Book one of our Two Double Beds Wheel Chair Accessible Rooms which features two double beds, roll-in showers, and other amenities that cater to all of your accessibility needs. Should you require any additional assistance, call us and we would be happy to help! At the Atrium Inn Vancouver, your safety and comfort are our number one priorities. Book an accessible room featuring bathrooms with roll-in showers and guardrails.